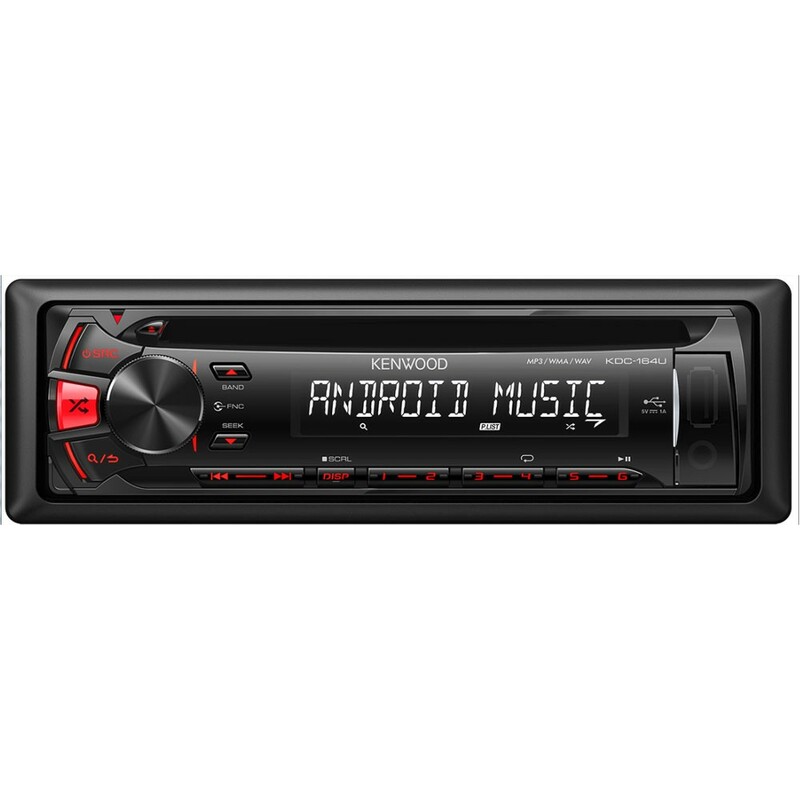 Almost 85 percent of all smartphones use the Android operating system and can be more comfortable and bigger than ever to use as a player of digital music data now in conjunction with the new Kenwood CD receivers. The responsible for this transmission protocol is called AOA 2.0 ('Android Open Accessory') and is part of the Android OS version 4.1. It allows the KDC-164U directly access the media files of Android phones. That's not all: The media player of the smartphone can even be comfortably operated via the radio keypad. Whether play, pause, skip, next or previous folder, search by artist, album, song or stored metadata - the KDC-164U allows virtually complete control of the audio player. To this end, the smartphone via the USB port must be connected to the KDC-164U and the free 'Kenwood Music Play' app must be installed on the phone. AOA are 2.0 for control of compatible Android smartphones from Android 4.1 via USB port, free 'Kenwood Music Play' app must be installed. hi, i need to upgrace my stereo so i can put a sub in my car. can i put a sub without uograding my stock stereo. also what adapter if ay do i need to fit this in my car. I have a Honda cr-v from 2006(model 2002-2006). It has an original navi from Honda/alpine that is broke. 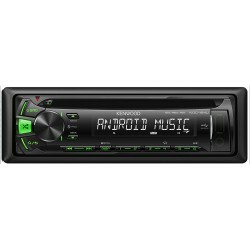 Wat do i need to fit this radio in my car? Hi you will require a ct27AA08 as with out this you will get no radio. please advise what extras I would need to fit this item. Also this one comes with red key illumination - do you have blue? You will need the following parts. We have red/green ones. See the link below for the green one. Will this unit fit in my car? What adaptors and accessories would I need? Will this unit fit in my car? What adaptors would I need? For a free quote for installation, please contact your local Car Audio Centre Store. Anything additional required to fit this in a 56 plate facia? Hi, is there anything else i would need to fit this to my car? Hi you will need a aerial adapter with a inline booster. we have listed this below for you. Our Head Office telephone number is 0330 1234 021. If someone orders a stereo and it arrives broken like mine was what are their options? Also, could I have the contact information of someone more important than the online manager please? options are return, replacement or exchange. Do you always take forever to answer your customers emails after you sell them faulty goods? We apologize no one has contacted you back swiftly, However we are extremely busy and some will reply to your email. You have sent a email to the in correct department. For any enquirers regards goods purchased please contact the store you brought your goods from directly. Or call us direct on the online sales number. will this fit my 1998 honda civic, 1.5L, 5 door, petrol. What adapters etc might I need?